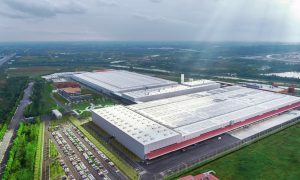 A Form 8-K recently filed by Tesla to the United States Securities and Exchange Commission has revealed that the company extended its $1.1 billion warehouse loan agreements with Deutsche Bank AG for another year. 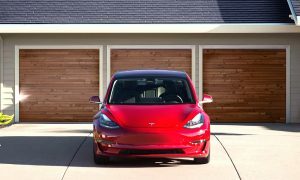 The revised terms outlined in Tesla’s Form 8-K state that the agreements’ borrowing availability has been extended from August 17, 2018, to August 16, 2019. The maturity date of the agreement was also extended from September 2019 to September 2020. Following is the text of Tesla’s recent Form 8-K submitted to the SEC. 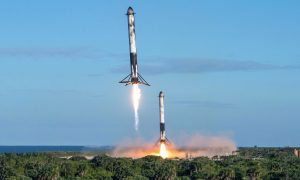 On August 16, 2018, certain subsidiaries of Tesla, Inc. (“Tesla”) that are respectively parties to (i) an Amended and Restated Loan and Security Agreement (the “A&R 2016 Warehouse Agreement”) and (ii) a Loan and Security Agreement (the “2017 Warehouse Agreement,” and together with the A&R 2016 Warehouse Agreement, the “Warehouse Agreements”), each dated August 17, 2017, with Deutsche Bank AG, New York Branch as administrative agent and the other parties named therein, entered into an amendment to each of the Warehouse Agreements (together, the “Amendments”). Among other changes, the Amendments extended the borrowing availability date under the Warehouse Agreements from August 17, 2018, to August 16, 2019, and extended the maturity date of the Warehouse Agreements from September 2019 to September 2020. The aggregate lender commitment, which is shared between the Warehouse Agreements, remains unchanged at $1.1 billion. Warehouse loan agreements are utilized as tools to help finance inventory. Last October, Tesla raised the credit line at the German bank by $500 million to $1.1 billion, and during that time, the California-based electric car maker noted that it was planning an expansion of its in-house leasing program. That said, even with the recent extension of the warehouse agreement, the aggregate lender commitment of $1.1 billion remains unchanged. Tesla’s recent 8-K Form could be accessed in full here. Tesla’s recent 8-K filing comes as the demand for the Model 3 sedan showed encouraging signs after the vehicle was previewed in Australia for the first time. After sustaining the Model 3’s 5,000/week production rate during multiple weeks in July, Tesla announced earlier this month that it is bringing the electric car to Australia and New Zealand. 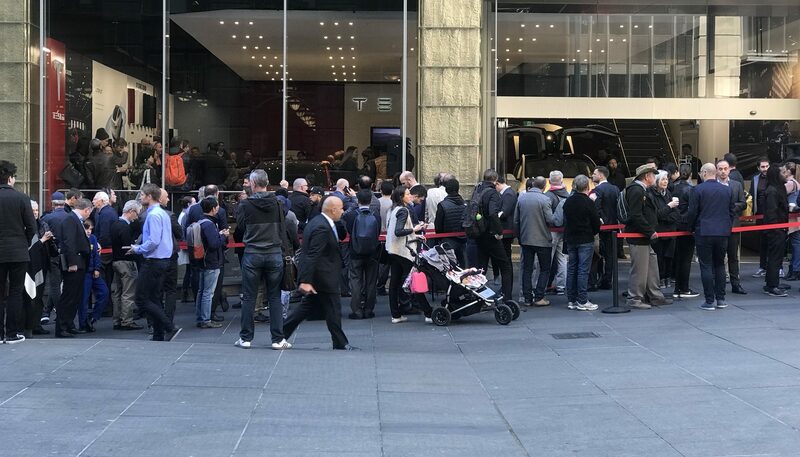 Reservation holders residing in the two countries received invitations for viewings of the vehicle at Tesla’s stores in Sydney, Melbourne, Brisbane, and Auckland. The Model 3’s viewings in Australia proved to be successful. 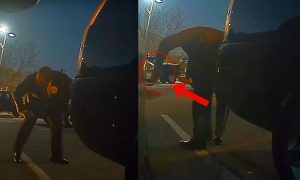 Posts uploaded of the event on Twitter revealed lines of people lining up to get a hands-on experience with the electric car. One of the Model 3 reservation holders, Andreas Stephens of Sydney, even noted in a statement to Drive that the electric car would be his first vehicle in 25 years. “I’m not a car enthusiast as such; I never had a need to upgrade my car. When I bought my first car my dream was to have an electric car as my next car. But at the time, in the early 1990s, that seemed like a pretty unrealistic expectation. So I’m really excited that I’m now actually able to get an electric car. It’s fantastic, more than anything I’ve experienced in a car,” he said. In the United States, Model 3 production appears to be hitting its stride. Apart from recently passing the 100,000-vehicle mark in its VIN registrations for the electric car, Tesla also appears to ba pacing towards an improved pace for the vehicle’s production. 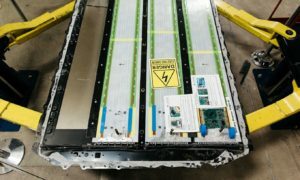 This was highlighted by George Galliers of Evercore ISI after an extensive tour of the Fremont factory, who noted that Tesla could hit as much as 8,000 Model 3 per week with very little capital expenditure. “Tesla seems well on the way to achieving a steady weekly production rate of 5,000 to 6,000 units per week. We are incrementally positive on Tesla following our visit. We have confidence in their production. We did not see anything to suggest that Model 3 cannot reach 6k units per week and 7k to 8k with very little incremental capital expenditure. Focusing on the fundamentals and setting aside talk of privatization, we are incrementally positive on Tesla following our visit,” the analyst noted.